I used to think I only liked crappy beer. Like, really. All I drank was Miller Lite! At fancier events, I was totally stumped. You just don't want to be the girl at a black-tie wedding requesting a Miller Lite, you know? 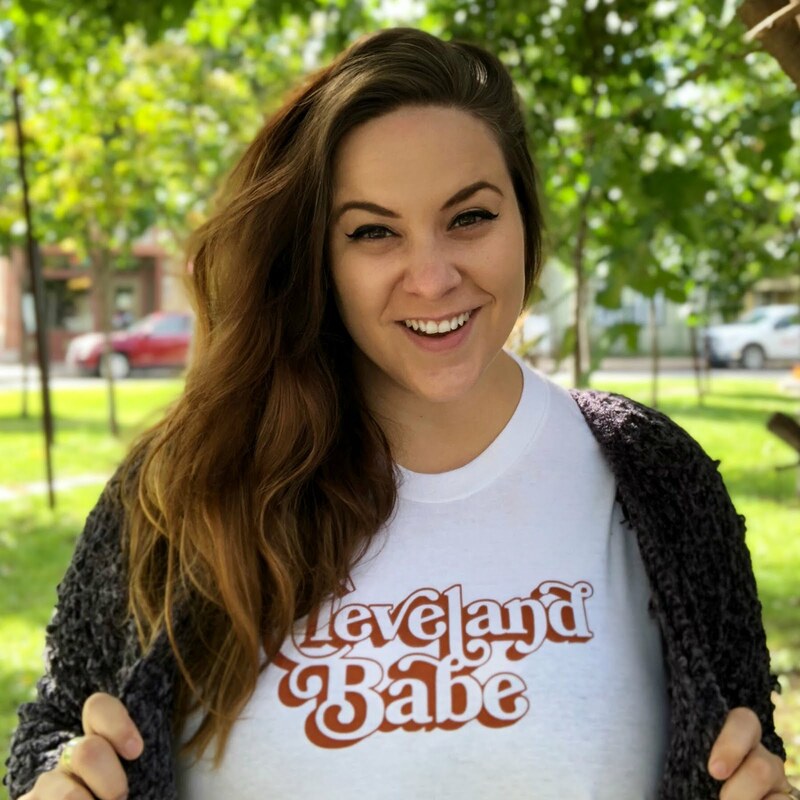 Luckily for me, I turned 30 & learned about hops - specifically that I don't like them, which opened me up to a whole wide world of non-hoppy beers that I've come to love. Now I know that I dislike IPAs & stouts, sours give me heartburn, & I love saisons & kolsches. 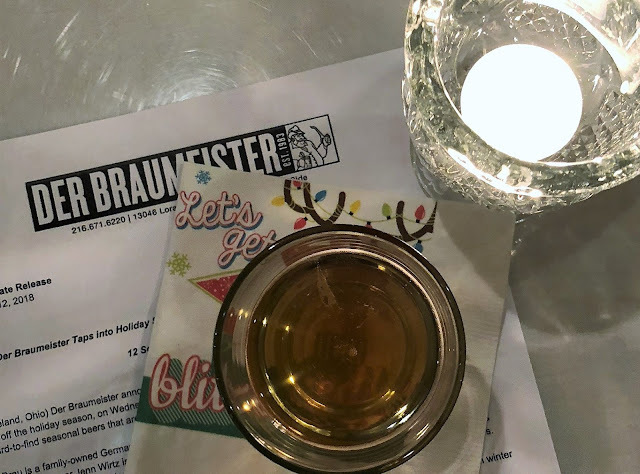 Der Brau is a family-owned German bar & restaurant in Cleveland's West Park neighborhood - & it's run by a mother/daughter duo! 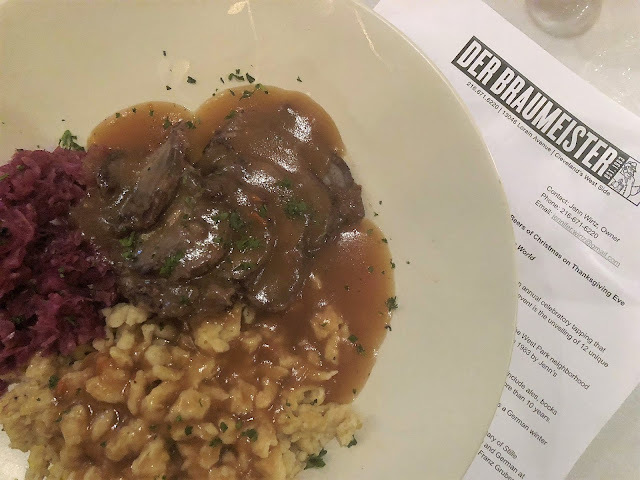 Founded in 1983, Der Brau serves brunch, lunch, & dinner,and they offer more than 100 different beers, many of them authentically German. 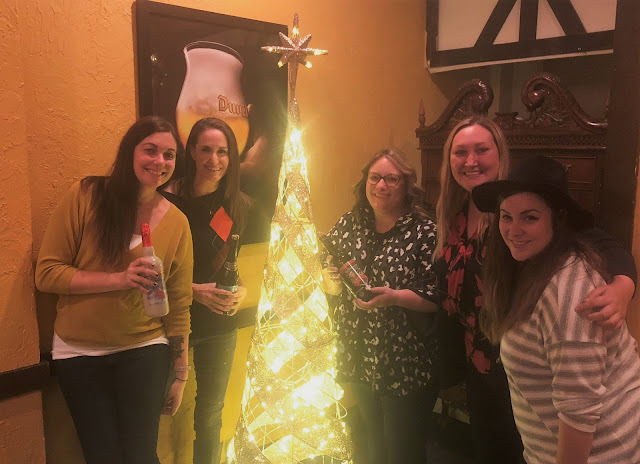 They've been running their beloved 12 Beers of Christmas event for years now, & they invited a few of us to check out an advance screening, if you will, of what this year's event will entail. 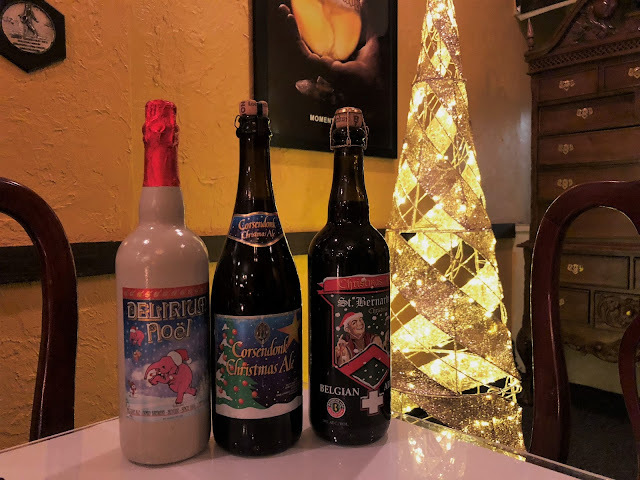 If you're in the CLE this week, make your reservation & hit up Der Braumeister on Wednesday, November 21, from 5:30 p.m.- Midnight for 12 Beers of Christmas. At 14% ABV, Samichlaus was once the strongest beer in the world. Plaid Habit is aged for 18 months & brewed in Canadian whiskey barrels. 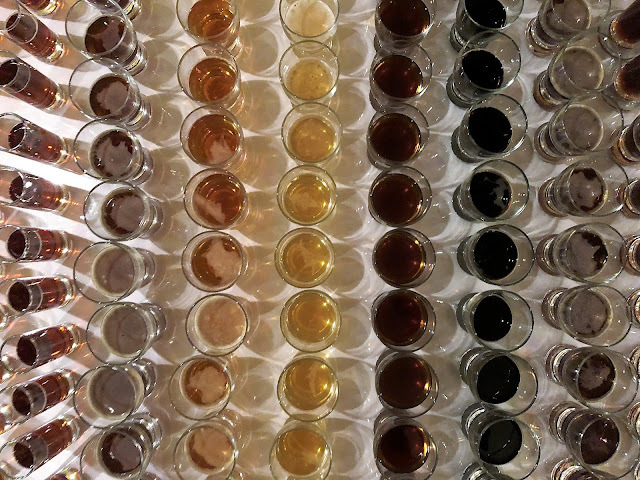 Perhaps unsurprising for my tastes, my favorites were the Shiner Cheer (that peaches-and-pecan taste is amazing) & the Cranberry Tart, which was, well, cranberry & tart. 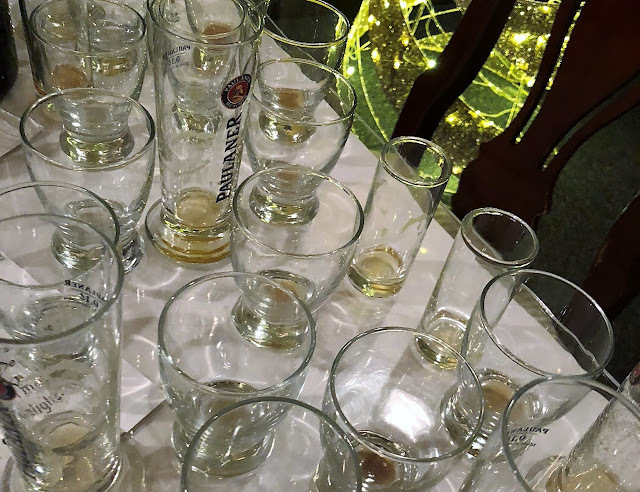 I actually took the former to a beer tasting the very next evening, I liked it so much. (A post on that tatsing is coming soon, too, because it was totally different & just as delicious! Perhaps actually surprising was that I didn't truly dislike a single beer on the list. 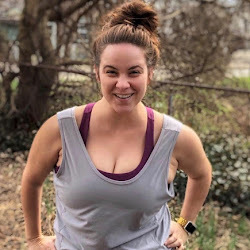 For a girl who drank exclusively Miller Lite until only three years ago, I feel like that's pretty impressive. We left behind quite the boozy graveyard! Oh, yeah: There was food, too. Oh, was there food. 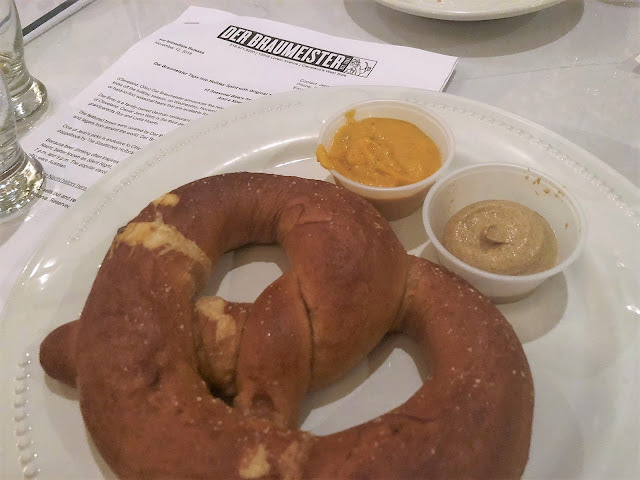 We sampled a little bit of the special menu for the event & whoa, that German food, y'all. 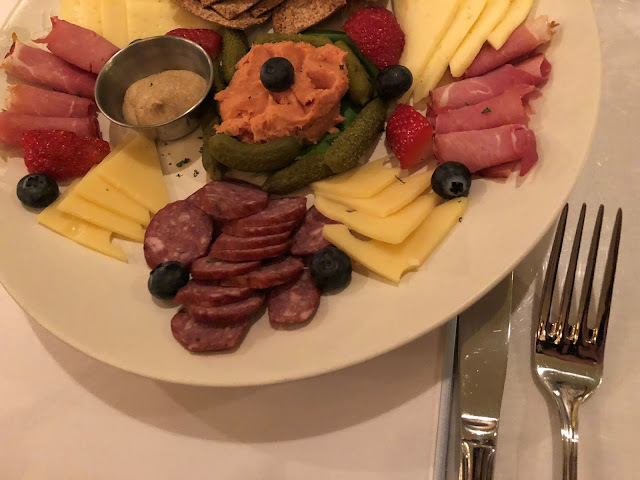 The charcuterie board, featuring German meats & cheeses, was out of this world, even for someone who loves every charcuterie board in existence. 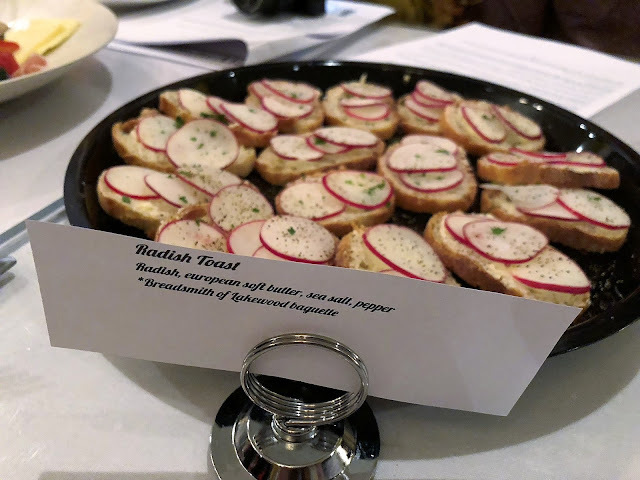 And did you know that it's traditionally German to eat radish toast with beer? The little beauties you see below were soooo buttery - & hey, apparently I like radishes. I also love spaetzle, so as the event drew to a close, my friend Megan & I ordered spaetzle mac & cheese. Talk about delicious. 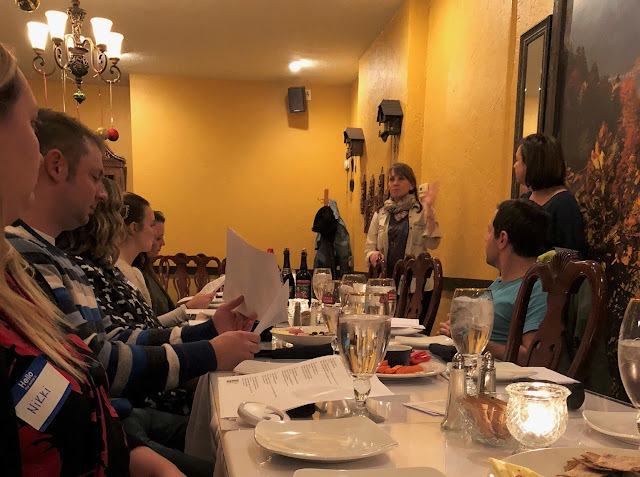 In fact, we ordered a whole slew of carby sides - the mac & cheese, plus a big, doughy German pretzel with beer cheese sauce, & an order of potato pancakes with house-made apple sauce and sour cream. Like I said: Would you like some crabs with your carbs? In other words, we had a damn feast to soak up all that beer. In all, this was such a fun event - & if I'm in town next year when it happens, you'd better believe I'll be checking it out. Did I mention that it includes the singing of "Silent Night" in both English & German? 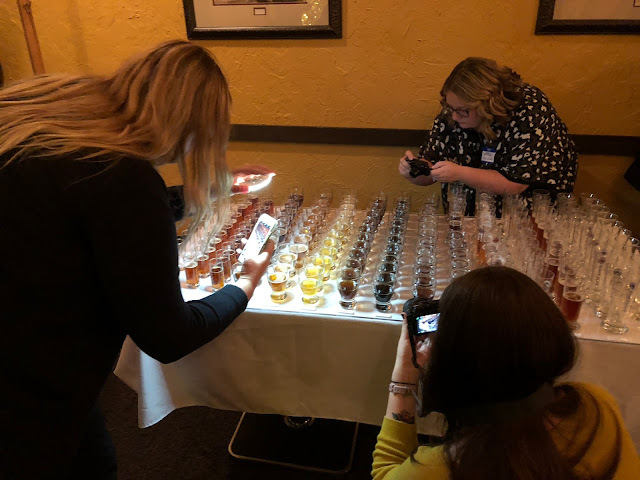 Until then, I'm thrilled to have tried & enjoyed so many new-to-me beers, proving that Miller Lite has no place in the glass of a 34-year-old woman with a sophisticated palate. Prost, my friends - cheers! 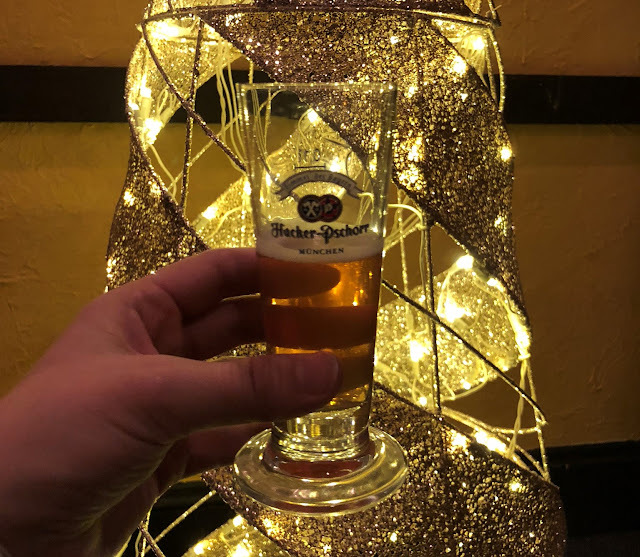 Disclosure: I was invited to attend an influencer preview of the 12 Beers of Christmas event. As always, all opinions are my own. Catch other reviews from A Linderella Story & Beard & the Broad.